Camping and RV Travel Information, Ideas and Advice. Camping.com makes camping and RV travel easier than ever with a wide choice of Camping and RV travel tools. With an intuitive "hotel-style" campground and RV park search you are sure to find the perfect campground. Search by date, by location, or based on the most important amenities than make a confirmed reservation online - 24/7. If you are traveling foot loose and fancy free and exact dates aren't important but finding your next "favorite" campground is then use the Browse a Campground feature to see RV parks along your destination. You can even expand your search options to find exactly what you are looking for. And when you've found what you are looking for you can book a "real-time" confirmed reservation online - 24/7. When you have exact dates you need a campground reservation nothing is more frustrating than seeing a list of 50 campgrounds that don't have availability for your dates. With Camping.com's Avaiability Search we only show you the parks that meet your criteria that have availability for the exact dates you request. Simple, fast and easy. 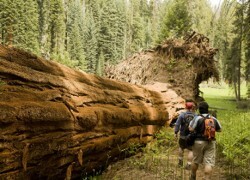 Find vacation ideas and information on Camping.com's complete online camping and travel guides. Search destinations across America by state and region for details on campsites, rv parks and family camping. Find information on what to do, where to go, where to dine and of course places to stay along the way. Looking for a great camping destination? Look no further our Hot Spot section profiles areas across the country to spark your travel imagination. Looking for a special camping spot that's off the beaten path? Find information about fun, and sometimes funky camping destinations. Here you'll find those hidden camping gems - undiscovered camping and RVing spots.